U.S. regulators scrapped their own classification of automated driving technologies and will adopt the five-level scale developed by the Society of Automotive Engineers. WASHINGTON -- Automakers and tech companies working on self-driving car systems can expect greater scrutiny from U.S. regulators before they can put those cars on the road under a new federal policy that represents a significant shift in how vehicle technologies and safety are regulated. Under policy guidance to be released Tuesday by the Obama administration, automakers will be asked to assess the vehicle system design, development, testing and deployment work behind an autonomous vehicle or system before it can be offered for sale or put into service on public roads, U.S. officials said Monday. According to the U.S. Department of Transportation, the “safety assessment” outlines what automakers must do to achieve what the department views as a “robust design” for autonomous vehicles. Automakers will be asked to provide documentation and information covering 15 specific topics, such as how automated systems detect objects on the road, how information is displayed to drivers, what cybersecurity measures are in place and the testing and validation methods used to develop the system. “The policy improves upon traditional U.S. auto regulation which relies on post-sale enforcement based on safety standards that can take many years to develop and traditionally are only put into force after new technologies have made significant market penetration,” U.S. Transportation Secretary Anthony Foxx said in a Monday conference call with reporters ahead of Tuesday’s policy release. “Instead, this automated-vehicle policy envisions greater transparency as DOT works with manufacturers to ensure that safety is appropriately addressed on the front end of development,” he said. Foxx also outlined other elements of the Transportation Department’s hotly anticipated autonomous-vehicle policy during the call. It seeks to draw clearer lines for how states and the federal government should share the task of regulating of automated vehicles. It also outlines new powers that NHTSA contemplates it will need to effectively regulate the safety of autonomous vehicles. Most of the policy will take effect Tuesday when it is published. NHTSA expects to begin asking automakers and others for the safety assessments in the coming months, a DOT official said after the conference call. 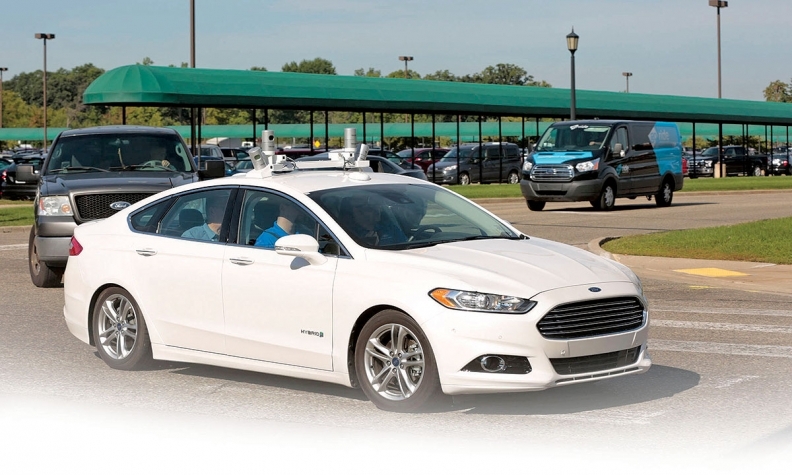 As part of its autonomous-vehicle policy, the agency has scrapped its own classification of automated driving technologies and will adopt the five-level scale developed by the Society of Automotive Engineers. The new assessments would apply to all vehicles with an SAE Level 3 automated driving systems or higher, the DOT official said. A Level 3 system can provide full autonomous driving without human intervention in certain situations, such as highway driving, while still requiring a human driver to take over in other settings. More immediately, NHTSA will ask automakers such as Tesla, Mercedes-Benz and others to complete assessments for their Level 2 systems in vehicles already on the road, the DOT official said. Such systems combine two or more automated driving functions such as adaptive cruise control and lane-assist, but require human drivers to take over steering after brief periods. Those assessments will cover most but not all of the 15 elements required for Level 3 systems and higher, the official said. Completing the assessment will allow an automaker to introduce an autonomous system under the policy. NHTSA lacks the so-called pre-market approval authority needed to approve or block vehicles before they’re on the market. The guidance-based policy was welcomed by automakers, which have warned against heavy-handed regulation of autonomous cars for fear that prescriptive rules could stifle innovation. In a statement, the Alliance of Automobile Manufacturers, which represents 12 automakers including the Detroit 3, praised the DOT’s decision to issue guidance and said it would review the policy carefully. John Bozzella, CEO of the Association of Global Automakers, the industry’s other primary trade group, also cheered the government’s approach. “Global Automakers and its members remain committed to working with federal, state and local governments to ensure there is a flexible, consistent framework for automated vehicle technologies so consumers can fully realize the benefits as quickly as possible,” he said.